Why Choose Arizona Foundation Solutions? For decades many of our trusted long term clients have relied on our experience and integrity. Our experience and investment in cutting edge technologies, have earned recognition and awards for our innovative sustainable solutions. Throughout the state of Arizona, industry experts have trusted us for our impartial advice. They know that we balance our innovation with the integrity of advising solutions that are in their best interests. Choose Wisely...Not all foundation repair companies are the same. 10 Exclusive Reasons to choose Arizona Foundation Solutions? 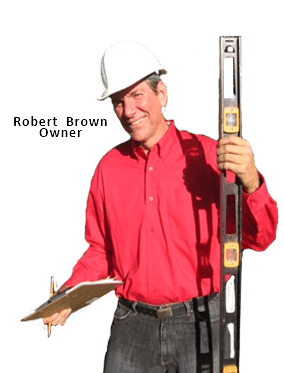 We have the only Certified Foundation Repair Specialists in the State of Arizona. We are the only foundation contractor that offers 12 months same as cash. We are the foundation repair contractor recommended by Rosie Romero of Rosie on the House. We are the only foundation contractor in Arizona to receive awards from the Structural Engineers Association and the International Concrete Repair Association. We are the only foundation contractor of Arizona with a Registered Engineer on staff. We are the only foundation repair contractor of Arizona with a LEED Accredited Professional. Without a doubt we are Arizona’s leading foundation repair contractor. If all you have for tools are hammers, your problems all start looking like nails. We offer a variety of solutions including, helical piles, mud jacking, hydraulic piles, compaction grouting, crack stitching, and micro-piles to name a few. Members of the Foundation Repair Association and Foundation Performance Association.